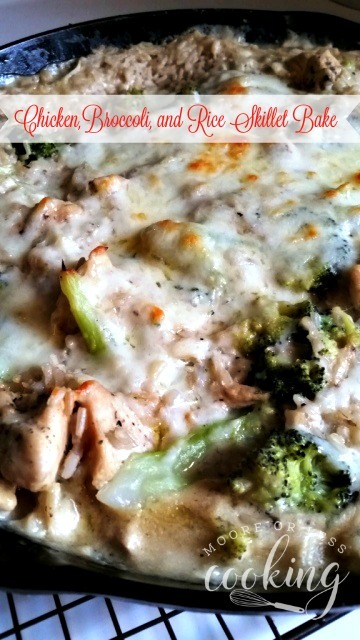 Chicken, Broccoli, and Rice Skillet Bake~ Comfort food to the max! Wonderful one pan recipe! This delicious casserole will be a lifesaver next time you run out of time to make dinner! Made with all fresh ingredients to produce a wonderful complete meal in one dish! I wish I had this wonderful cookbook when my children were babies and toddlers, and young children. I used to come up with some recipes when they were toddlers with my friends, people would look at us like what were we feeding our kids? Bright beets blended and then poured in a bottle, this cookbook is a lifesaver! 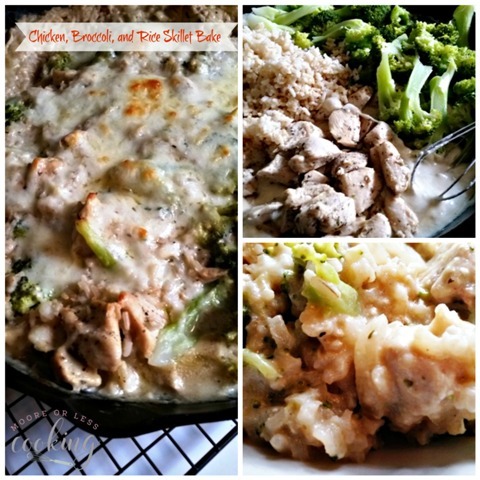 I choose this delicious Chicken, Broccoli, and Rice Skillet Bake to review, the flavors are so wonderful and comforting. Comfort food to the max! This delicious casserole will be a lifesaver next time you run out of time to make dinner! Made with all fresh ingredients to produce a wonderful complete meal in one dish! Steam broccoli in a steamer basket for a couple minutes, until crisp-tender. Heat ½ tablespoon oil in a large cast-iron skillet over medium heat and add chicken. Season chicken with salt, pepper, and Italian Seasoning. Cook for 3 minutes until browned, then flip for another 3 minutes. Remove chicken, set aside. Heat remaining 1½ tablespoons oil in skillet, and add onion and garlic, saute for a couple minutes until soft. Add flour and stir to combine. Whisk in chicken broth, milk, and mustard. Simmer for a few minutes until sauce thickens. Remove from heat, whisk in yogurt and 1 cup of cheese. 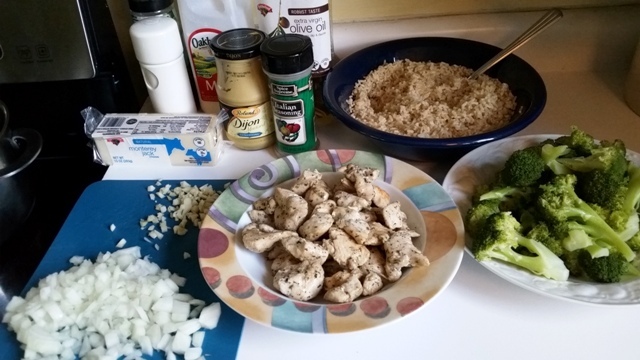 Add cooked rice,broccoli, and chicken with juices to the skillet and stir to combine. Sprinkle remaining ¼ cup cheese on top and transfer skillet to oven. Bake for 20-25 minutes until cheese has melted and bubbly. Let cool for a couple minutes, serve warm. Natural Baby Food is the perfect resource for new and experienced parents alike and is filled with over 150 delicious, nutritious recipes to please even the pickiest palate. The last section even includes recipes that the whole family can enjoy together. When it comes to planning a healthy diet for your child, Natural Baby Food removes the guesswork, ensuring that your baby gets the nutrition they need, developing healthy eating habits that will benefit them for years to come! This fabulous Cookbook is written by Sonali Ruder, The Foodie Physician. Thanks so much for the wonderful review, Nettie! Homemade baby food has definitely made a comeback! 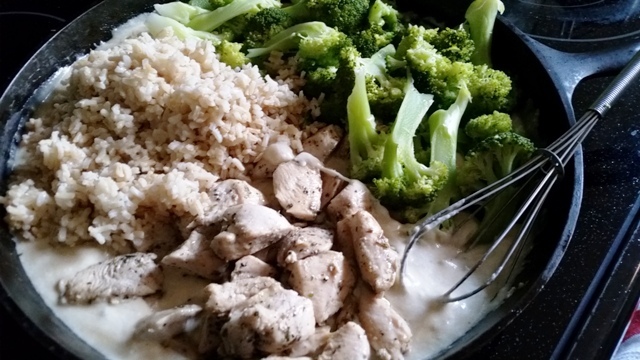 This is one of my favorite comfort food dishes and I’m so glad you liked it!